"Located in the northern region of the state, sharing its border with Rajasthan, Balaram Palace resort is one of the most sought-after heritage hotels in Gujarat. 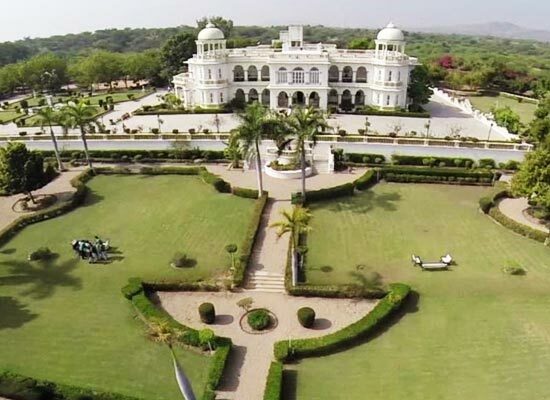 Founded between 1922 and1936, this property is the former hunting lodge of the Lohani Nawab of Palanpur. Today, this heritage hotel showcases a great amalgam of age-old charm, superb interiors, royal feel and contemporary conveniences. The guest rooms are spacious and well-equipped, the restaurants serve lip-smacking food and staff is well-mannered. Guests can enjoy several modern comforts such as Wi- Fi, helipad facility, indoor and outdoor games, medical assistance, sightseeing arrangement and more. 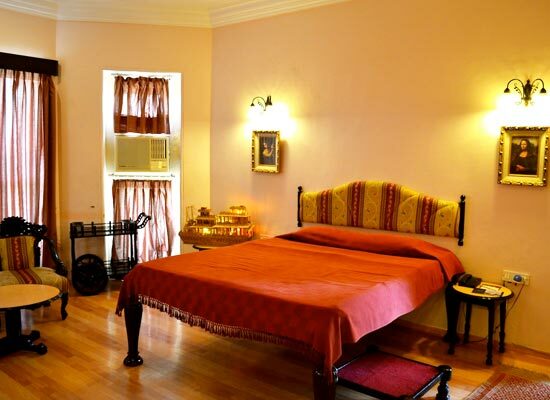 Enjoy a Nawabi stay amid impeccable hospitality. 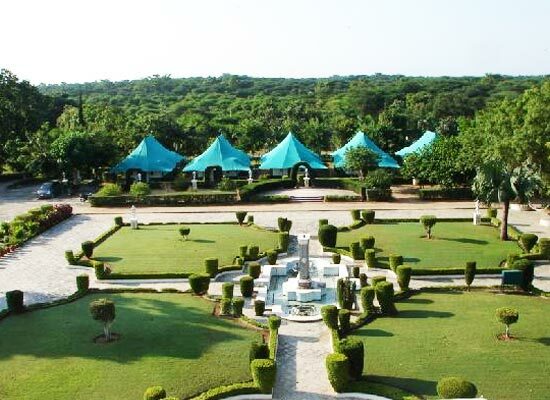 Once the hunting resort of the Lohani Nawab of Palanpur, Balaram Palace Resort was built between 1922 and1936 by the then 29th ruler of Palanpur. Placed in an area of 13 acres of terraced land, this palace is a mix of neo-classical and baroque styles of architecture. The palace is surrounded by colorful floral beds and lush well-manicured gardens. During the British times, the palace has hosted several important people including Lord Mountbatten. An amazing suite, Nawab suite offers a wonderful view of the well-maintained garden and comes with a separate living room. It was formerly used himself by Nawab Sahib. The décor is splendid and the comforts modern. Suiting the requirement of a discerning travelers, Platinum rooms are huge rooms with a wonderful interior. 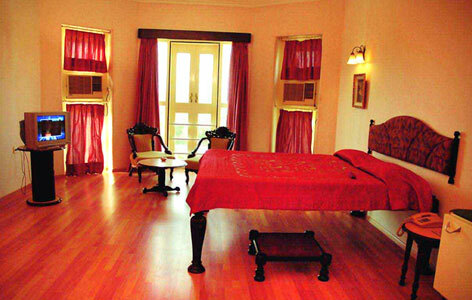 Formerly use by the family and friends of Nawab Sahib, these rooms are placed in the main place. Separate dressing area is an interesting addition in these rooms. Earlier used by the ADC’s (helpers in the military camps) of Nawab Sahib, Gold rooms are moderate in size and perfect for a couple. These rooms comes with a private gardens and a sit-out area. Specially crafted with a unique design and an ambiance similar to that of the palace, Royal tents come with a dressing room and a separate living area. Front and rare sit-out are other interesting additions. The Multicuisine restaurant here is an air-conditioned one serving north Indian, Continental and Chinese dishes. Balaram Palace Resort has a fully facilitated air-conditioned conference hall with slide projector, overhead projector, screen, white board, and cloak room where 75 persons can easily fit in the theatre format and the remaining 30 persons will be accommodated in the in U-type sitting chairs. The village Chitarasani is almost 167 kms away from Ahmedabad. The nearby places of visit are namely Palanpur, Ahmedabad city and many other temples which lie in a nearby area and which are highly acclaimed tourist spots in India.